If you love eating boiled peanuts, this post is for you. Read on and you will learn how to cook, store, and even prolong the life of boiled peanuts. Let me tell you right now that boiled peanuts can spoil rather quickly – and you don’t want to get sick by eating food that’s no longer safe for consumption, right? Boiled peanuts don’t really have long shelf life – but they can last a bit longer with proper handling. For freshly cooked boiled peanuts, you can enjoy their quality and freshness for 1 to 3 days when kept at room temperature. When refrigerated, boiled peanuts will last longer and will stay edible for about a week (10 days, the most). Now, if you have a lot of boiled peanuts and want to keep them fresh for a really long time, you can store them in the freezer. Boiled peanuts, when frozen, will last for about 6 months to a year. Therefore, the shelf life of boiled peanuts will depend on the condition they’re exposed to. And in any case, the shelf life I told you about is only meant to give you an idea. You still need to play it safe by making sure that the food is good (and this applies to any food) before eating them. One of the secrets to preparing food and prolonging their life is to cook them properly. If you’re boiling peanuts, know that this food will cook in about 1 to 3 hours (depending on the amount). For boiled peanuts, there are different levels of doneness – and they’re all eatable according to a person’s preferences. Therefore, you can make boiled peanuts that are very well done or slightly underdone. Really, this depends on the texture of peanuts that you want to have. Also, the taste will vary as peanuts get more cooked. The length of time that you let peanuts boil will obviously affect its texture. For this reason, you need to constantly check (through taste test) the peanuts’ level of doneness time and again. As for the flavor, the soaking period will greatly affect the peanuts’ taste – the longer they’re soaked, the more flavorful they’ll get. It is, therefore, safe to say that boiling peanuts will produce different results. The results will depend on how long you kept the peanuts boiling and how long you let them soak in their brine solution. Peanuts have different sizes and moisture content. 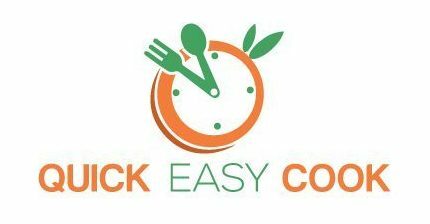 These factors will affect their taste and overall cooking time. A bag or pack of raw peanuts usually contains peanuts of the same texture. Therefore, you can test a small portion first to see how tough or tender the raw peanuts are. To further test the texture of a batch of peanuts, you can observe how a batch changes its texture as the peanuts are cooked. 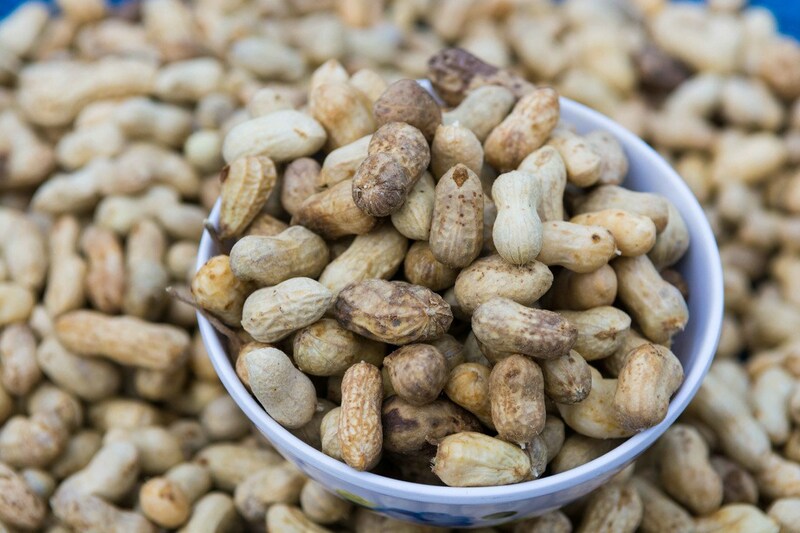 If you’re new to eating (or cooking) boiled peanuts, it may be necessary for you to taste raw peanuts first. You can then compare its taste to the peanuts as they’re cooking (and know when they no longer have that raw taste). While you can actually eat peanuts raw, it’s not really advisable. Good, uncontaminated peanuts are not dangerous to eat – but contaminated peanuts (those with mold and bacteria) can be harmful to your health. 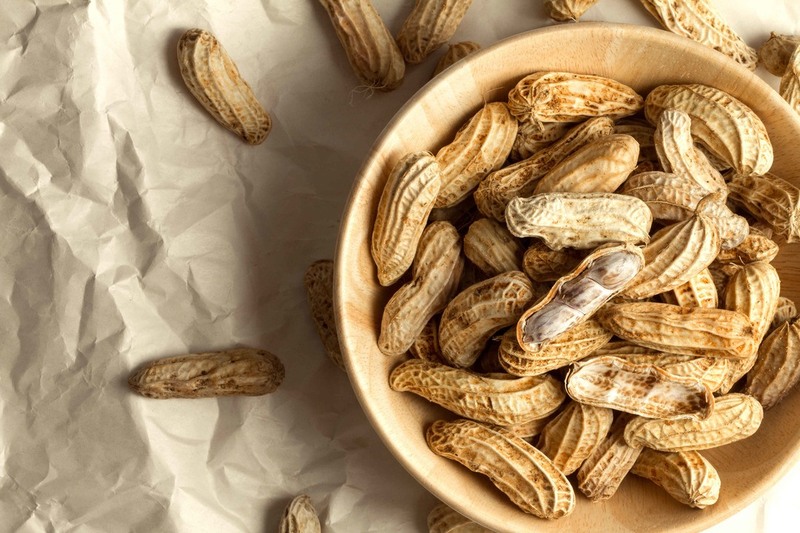 When cooking boiled peanuts, you can eat it slightly raw – just make sure that the peanuts have boiled enough to kill any bacteria or mold growth. Semi-Raw – Semi-raw boiled peanuts have passed the stage of being raw. The peanuts are still crunchy at this stage. Half-Cooked – Half-cooked boiled peanuts are still firm in texture but they’re already starting to get soft. 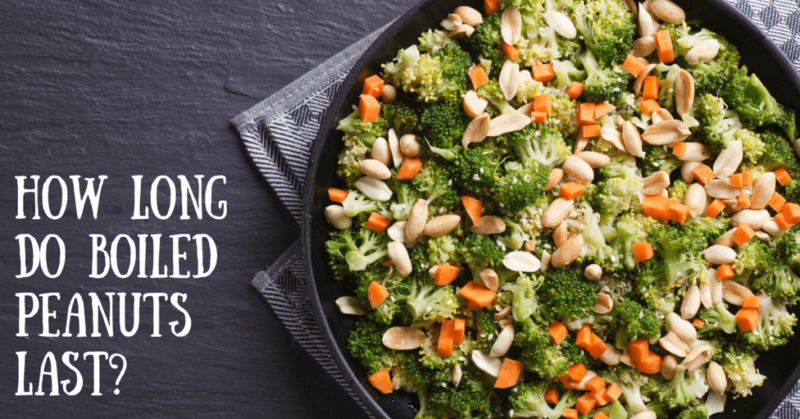 Almost Cooked – Peanuts that have already boiled for a long time will have a somewhat hydrated texture. And because of this, the peanuts won’t easily fall off from their shells when you open them. Cooked – Cooked boiled peanuts are soft enough to break when you press on them. Although they’re no longer crunchy, their texture is not mushy. Overcooked – When well done and overcooked, boiled peanuts can be as mushy as mashed potatoes. If not, the peanuts can be easily squished with light application of pressure. To monitor how the peanuts’ texture and taste change as they’re cooking, take sample tests while the peanuts are boiling. A batch of peanuts won’t all cook at the same time. Remember, peanuts without shells will cook the fastest. Those that have broken or cracked shells will also cook faster than the pieces that are whole and unbroken. When really overcooked, the peanuts may become too mushy that you need to scrape the peanuts off the shells. As you can see, it’s really up to you how you want to cook boiled peanuts. Personally, I want my boiled peanuts cooked just right and a little bit on the soft side (but not mushy). While cooking, monitor the taste and texture of the peanuts by tasting one every now and then. To have flavorful peanuts, add salt to the boiling water. The water will penetrate the peanuts’ shells and hydrate its contents. Because of the peanuts’ thick shells, the insides may still be quite dry (and hard) even if the shells already seem soft on the outside. You can leave cooked boiled peanuts in its brine to let the water penetrate into the shells. This will result in more flavorful peanuts. You can repeatedly cook boiled peanuts in brine if you want the texture to be softer and the taste to be saltier. After cooking boiled peanuts, you can let it soak in its own brine overnight in the fridge. The next day, you can boil the peanuts again in the same brine solution (if you want to reheat it). When eating and tasting boiled peanuts, keep these things in mind: Hot or warm boiled peanuts are softer in texture. Eating cold boiled peanuts is acceptable, just know that their texture will be a little bit firmer than if they were served hot. Here’s a quick tip: After reaching your desired texture and taste, drain the hot water from the saucepan to stop the cooking process. Stovetop – Place the cooked boiled peanuts in a saucepan and add some water (to cover the peanuts). Bring the water to a boil and let it simmer for a while. Microwave – Put the boiled peanuts in a microwave-safe container and heat on high for about a minute. Drain water from freshly cooked boiled peanuts. Allow the peanuts to cool completely. Store portions of boiled peanuts in freezer bags or freezer-safe containers. You can also place them in freezer bags before placing them in freezer-safe containers. Storing boiled peanuts in small portions will allow you to use them batch by batch. This technique will help you avoid thawing a large amount of cooked peanuts if you only need a small portion at a given time. Storing in freezer bags and freezer-safe containers will help prevent freezer burn. Before I end this article, let me just give you a brief lesson on the nutritional content of boiled peanuts. 1 serving of boiled peanuts (in shells) has about 90 calories. Peanuts, in general, have high levels of antioxidants. Antioxidant properties in food can help in preventing serious diseases like cancer, diabetes and heart diseases. 1 serving of boiled peanuts (in shells) carries about 2.5 grams of fiber. High-fiber foods help prevent constipation, heart diseases, and more. The fat content of a serving of boiled peanuts (with shells) is about 6 grams. Monounsaturated fat of about 3 grams make up the total fat – this is beneficial for overall heart health. You will benefit from about 6 mg. Vitamin E per serving of boiled peanuts (with shells). Peanuts also contain vitamins and minerals (B Vitamins, calcium, phosphorous, magnesium, etc.). As you can see, peanut is almost as nutritious as true nuts, that’s why it’s often confused with true nuts even if it actually belongs to the family of legumes (like beans). Personally, I believe it’s a healthy and delicious snack. I hope this article has helped you understand peanuts (and boiled peanuts) better. Now, you not only know how long boiled peanuts last, but how to cook and store them properly as well. Do let me know your thoughts in the comment section. And if this post has been helpful to you, feel free to share it with others.